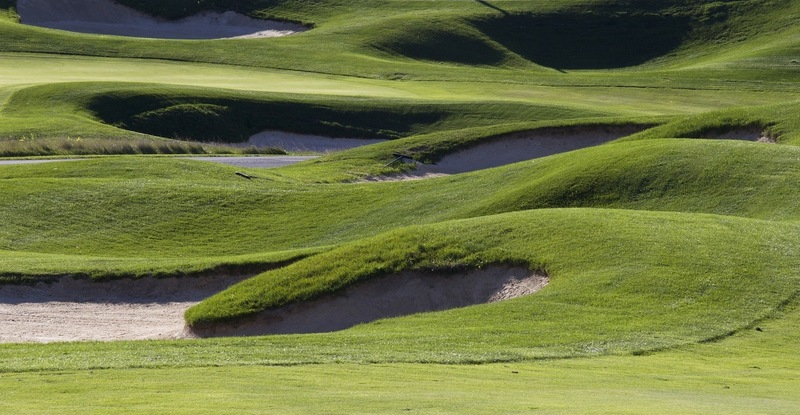 Bunkers, also referred to as sand traps, are seen as one of the most intimidating hazards on the golf course. We've all landed in them. We've all felt that tinge of annoyance when we see where our ball landed. We've all had a less than perfect shot coming out of a bunker (sometimes 2 or 3 if i'm being honest), which can lead to frustration. Here are some videos to check out with tips on how to improve bunker shots. Hopefully they will teach you a few new tips to take out some of the frustration often associated with bunker shots! There are also a couple of rules you should be aware of whenever you land in a bunker. The first thing to be aware of is that you cannot ground your club until after your shot. What's grounding? Grounding your club is when you allow your club to touch the ground. This rule is very important for bunker shots. This is because touching the sand with your club could change the lie of the ball. Sand is very easily disturbed, so it is important to not effect the lie in any way before your shot. You can be penalized 2 strokes in a competitive match for grounding your club before a shot. In match play, you will lose the hole. If the ball lands in the same bunker after your first shot, be careful not to ground the club until after your second shot. There is nothing worse than landing in a bunker. Except maybe landing in a bunker and realizing the person before you left footprints and ball marks. Don't follow in their footsteps and clean up the bunker! Use the rake provided beside the bunker to erase any signs that you were there. Even if your shot landed in the bunker and rolled/bounced out, walk by and rake the ball marks. This is one of the etiquette practices you should be following on the course to be courteous to the golfers that follow. Be sure to watch the videos we mentioned above! After watching the videos for tips, head out to the course to practice! We have plenty of bunkers and hazards to put your skills to the test on the course. Give the pro shop a call at (905)-679-2703 or click here to book a tee time.